This countryside resort boasts spectacular views. The studio apartments, one-, two- and three-bedroom units all come complete with fully-equipped kitchens. Resort facilities include an indoor pool, sauna, bar, restaurant and a small playground. In winter, for those looking to hit the slopes, there is a fantastic ski school for beginners nearby. 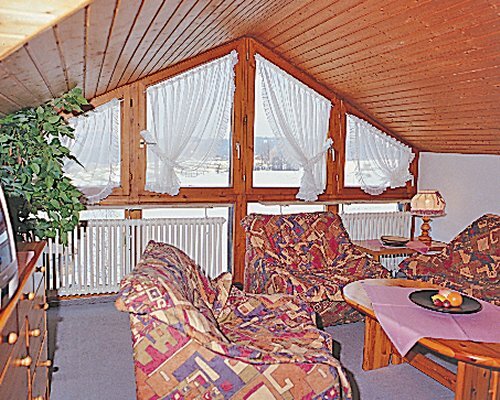 The resort is ideally situated for excursions to the popular, world-famous castles of Neuschwanstein and Hohenschwangau, and surrounding countries. The Ferienpark Oberalgau is situated in a quiet region built on a hill overlooking Missen, a typical small village of this area. BY AIR: Nearest airport Munich 180km. BY ROAD: From airport take A92 towards Munich, exit at Oberschleissheim, then the B471 towards Dachau/Fuerstenfeldbruck. Take the E54 which becomes the A96 towards Lindau. Exit at Jengen/Kaufbeuren and take the B12 to Kempten. Take the A7 towards Fussen and at Dreieck Allgau change onto the A980 which becomes the B12 towards Insy. Exit at Weitnau towards Sibratshofen. 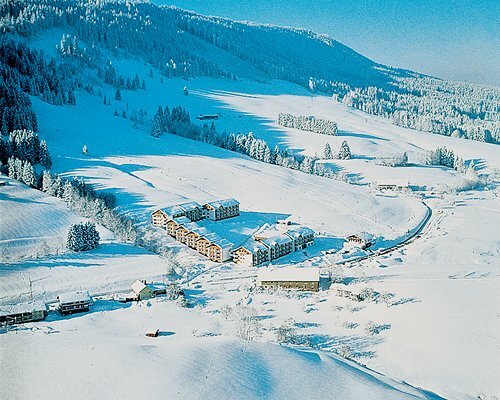 Go through Sibratshofen, take the first left to Missen-Wilhams, situated on a hill on the left hand side. Turn left to the village and the resort is situated at the end of Missen-Wilhams on the right hand side. BY TRAIN: From Munich to Immenstadt then take a taxi to resort. Service fee is 3.50 Euros. Cash or Credit is accepted.